Without going into the details of the specifics for the sake of protecting my identity, let me just say that I was fired from Facebook because I violated a policy. What I did was the equivalent of jaywalking: against the rule, per se, but everyone does it routinely and no damage is done. But somehow it got brought to the attention of HR and an investigation was launched. Facebook campus, Menlo Park, Ca. Photo used for representation only. Facebook has 0 tolerance policy on many fronts. For instance, on harassment: telling a coworker of either gender that you like their clothes can be reported as harassment, said the training video. And so, a lot of personal interactions, which, paradoxically, are strongly encouraged among employees, are terminable offenses. The fact that alcohol is omnipresent makes things even more complicated. This isn’t what happened to me, but this goes to illustrate the contradiction of zero tolerance policies, which apply to loosely-defined actions. I wasn’t aware an HR investigation was in the works. But what it entails was that an investigator talked to several people of my entourage, including my boss and my boss’s boss. One fine morning, which was a solid block of meetings, I got an urgent meeting request from a name I didn’t know in HR which asked for my cooperation for an investigation. It felt as if the ground opened beneath me. Of course, I could be asked to collaborate to an investigation about someone else (which isn’t much better) but immediately I thought that this was going to be me and I wondered what I had done. I wasn’t allowed to tell about this to anyone else per policy, but I was immediately set in a state of panic. The meeting with that HR investigator was set in an hour, and it was lunch time, but I was shaking and unable to think let alone get food. I just sat at my desk and waited. A few minutes before the meeting I got up and drifted towards the room. I sat across an investigator who told me why I was here. It was about me. My state of panic hadn’t dissipated, but at that moment I couldn’t clearly see what could possibly happen next. Going to Facebook every day had been such an integral part of my life. Every morning, I’d get up, hop in the shuttle, and that’s when my day began. Getting breakfast, seeing all my friends, and doing my best at work all day, while also spending all my time on Facebook, because that’s how we rolled – writing clever comments in the groups, see the likes roll in. My professional, social and personal life were all deeply intertwined with Facebook. And so, I wasn’t really thinking about that. Just answering the questions. It was clear that the person who talked to me had no idea what she was talking about. She quickly confessed as much to me. The only thing she was interested in was whether I had done the action that was held against me, and whether somebody had asked me to do it. Think again of what I did as jaywalking. Yes I did it, and nobody made me. I was working on a special project with a VP at that time, and he had nothing to do with it. She asked me why I did it, and I explained – jaywalking takes you from point A to point B faster, it’s not a conspiracy to create a traffic jam. In other words, in what I did there was no damaged caused, no intention to harm anyone, and no way for me to profit from it. If a week prior, I had typed a few different keystrokes, I would never have been in that room. But here I was. I don’t think she cared for my explanation, or that it would have any weight, but probably part of the process was to hear me out. But during that time I articulated an answer, I had the feeling, for a fleeting moment, that I could talk my way out of this. I was an employee in good standing, great track record, very appreciated, unique skill set (or so I thought). It would be really irrational to let me go just because the textbook said so. Talking, at that moment, felt good. She asked me: if you were not sure of what you were doing, why didn’t you ask your manager? That’s when I realized that she and I were living in completely disconnected realities, even though we were at the same company. On a typical week, my boss was doubled booked Monday to Friday from 9 to 6. In other words, at any time during the week, she should be either at meeting A or at meeting B (sometimes: or at meeting C). She’s never at her desk, and she routinely cancelled our regular 1:1 meetings because she has no other choice. So no, it never occurred to me that I should ask her every 5 minutes if what I was doing was right. Especially given that I had not the slightest notion that what I had done could ever get me in trouble. I asked the investigator what would happen next. She was apparently impatient to end the meeting. So that’s what she explained: she was going to talk to the employment lawyer and that person would determine whether or not what I had done constituted a violation, and if so, whether there would be a disciplinary action, and if so, what would it be. Obviously I pressed, because this meant I could be fired. But the investigator wouldn’t tell me anything more, besides that what was best for me now is to let her talk to the lawyer as soon as possible, and that I should take a walk and relax. Of course – they needed me calm. They didn’t want to handle a situation. But I complied. I took a walk on the campus. Or was it outside? I really loved the campus. I mean, beyond the meeting rooms. There’s art everywhere. The landscape is so unique, too. It’s next to a marsh, with its typical wildlife (birds and the like). Some people, me included, preferred to have their meetings outside, walking around campus. It felt so good to be far away from screens and notifications. And there had been quite a few times when I felt my life was in crisis, and a little walk in the wilderness had helped me put things in perspective. There were also so many great work memories – when I felt I did something really awesome, or that I witnessed a moment of pure brilliance from my teammates. I had been here late at night, I had been here early in the morning… But what I liked most about the campus though were the hundreds of people that I knew. I wasn’t close friends with all of them (with some, though) but many people knew who I was and we would exchange smiles and smalltalk. I wasn’t anyone special. Everybody had that kind of experience on campus, that feeling to be surrounded, to be among peers. For me, the campus was my safe place. It felt more like home than my apartment. Then I came back my desk, and set up to work. I had been struggling with a very abstract problem on my special project with the VP and finally saw a solution which I implemented. And then, I got another meeting request from my boss, to another HR meeting room, for the next day. That seemed odd at that time, so I wrote her to confirm the day, and she said it was really now. Today. In a few minutes. I was going to know. I thought, regardless of the output of the investigation, they have to tell me in some kind of a confidential environment, right? Even if there are no consequences? But what if there are? well, at least I will find out. And everybody being reasonable, there’s surely a way we can talk this through. And so I went down to that second HR room – the Rainbow Room. Despite the name, it is not a happy place. It is another confidential room. The sign on the door says that you are not allowed to come in uninvited. I had already been inside, for another investigation, as a witness, and frankly, I had wished to never see it again. There was my boss, and a new person from HR that was working in our division. She was new and it was my first time seeing her. There may have been a security guard then, or maybe he magically appeared after the meeting started. When we were all sitting, my boss calmly said that the investigation concluded that there had been a violation and that today was going to be my last day at Facebook. I was asked to hand in my laptop, my phone and my badge. It’s been a while now but it’s very difficult to describe how I felt at that moment. Shock, disbelief. And somehow, like a rabbit in headlights. I just complied. And maybe delusional. This felt so unreal. Somebody is telling you: imagine your life today. Well, starting tomorrow, every single part of it will be different, and I am not going to sugarcoat it: it will be worse. Somehow I felt: I am going to be ok. I will quickly find another job. A better job. But really, I couldn’t reconcile the words I was hearing with reality. My boss’s voice was devoid of emotion, even though we had gone through a lot together (at least from my point of view). I felt stupid for not planning that I would have to give up my devices, which were my primary devices and hadn’t been backed up in a while. I had a lot of personal things there that I never got back. Then, I was given a box with all the things at my desk, including, which was weird, my jacket. When I walked down to the Rainbow Room, I never thought I would have to leave immediately. And also, a voucher for a taxi ride to anywhere I wanted. Part of me wanted to go see a good friend in New York. But I was unable of such an act of rebellion. While I waited for the taxi my boss sat next to me in an awkward silence. I could keep my phone until my ride arrived. I had been automatically removed from all my meetings of the day, so I started to get messages: ‘where are you?’ A few people had started noticing that I was no longer showing in the internal tools and started writing me. Answering that would take energy I didn’t have. I did write to a few people though. I told the most senior person I had that I considered a true friend, and he told me he’ll come right away for a hug, and I said it wouldn’t be a good idea. I have never seen him again. I called my family to let them know what was happening, and could only leave a voice mail. I turned on Facebook on my new phone. That felt different. You see, as an employee, notifications come in non stop. If I were to leave my account unattended during a work day, like when I would board a plane with no wifi available, my notifications count will hit 99 in a matter of hours. By comparison, my account now felt empty. In the days that followed I would get maybe one notification or two? Just like before I worked here. I couldn’t bring myself to do any kind of grand announcement on Facebook. The shame from having been let go was all-consuming. This was confessing this shame to an assembly of people that, unlike me, were still considered worthy of being on the campus. 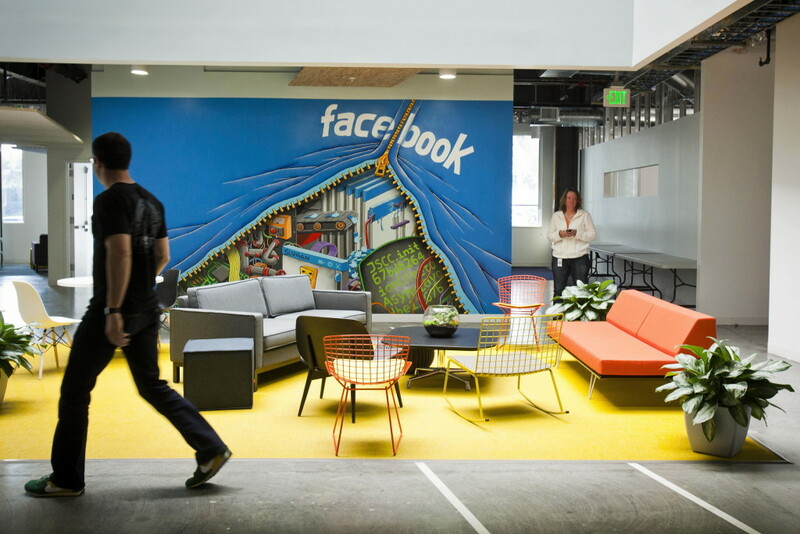 Typically, when somebody leaves, they write a post visible to anyone at Facebook (special setting for employees) that say that such day will be their last day at Facebook, there’s often a date for drinks, and an outpour of positive messages. But in that case… nothing. Nothing but questions, too, because my desk was empty that afternoon, and no one told anything to my coworkers. And nobody cared. All of these interactions simply disappeared. Except the people that were sitting immediately next to me, nobody noticed I was gone. But even my relationship with people I felt closer to started simply fading, with only a handful of exceptions. I would no longer sit next to them in the shuttle, have lunch with them, or see them around on campus, so what would be the point? It will sound crazy, but it took me some time to reacclimatize to the normal world, like fix myself food during the week. On the job front, I quickly scored many interviews. Actually, I interviewed non stop, several times per day, for a long time. But… I would always be asked why I left Facebook. I learned how to answer that question better and better but I was still very difficult to go through. I got offers too, but none that remotely corresponded to the level of passion I had for my Facebook job, and I couldn’t settle for less. So I continued to interview pretty much full time, which is a very weird experience. I felt very lonely, even though I was meeting new people all day. Eventually I took one offer. I wasn’t in love with the job but I had to stop looking. It was a much less nice, and comfortable experience than working at Facebook. But I like having done it. Working without all the perks, bells and whistles of a big tech job, after having been in workspace paradise for so long, grounds you. Makes you feel vulnerable, but in a good way. At Facebook, you see posters everywhere that ask you what would you to if you weren’t afraid, that prompt you to proceed and be bold, and remind you that this is the hacker company. Of course this is all a lie: that’s how you get fired. But since you are contacted by recruiters all the time anyway, you feel invincible. After this, I eventually found another job where I am much happier. All things considered, it’s probably a better job than what I was doing at Facebook. I’m not happy to have been fired. It’s a wound that is still sore; I lost so many friends, money, too, and the shame was excruciating. But I hope that has made me a better person.